Mélissa, a.k.a. the Curly Executive, is an award winning marketer and brand builder turned entrepreneur, content creator and business coach. After completing her MBA from MIT Sloan School of Management she held roles with marketing behemoths including Procter & Gamble, Macy’s, & NBC Universal. She is passionate about working with diverse clientele and has a soft spot for female entrepreneurs and crafters. Learn more about Mélissa and her additional businesses here. Rena is the Creative Director and owner of Rockin’ R Retreats. She has been hosting retreats for 25 years and still loves it! She loves it so much, in fact, that she opened her own retreat center. She is passionate about giving you space to create in and is proud to be in her 11th anniversary year at Rockin’ R Retreat Center. The center hosts the ultimate art, scrapbook, quilting, jewelry, and craft retreats in Central Texas. To learn more about Rena and the Rockin’ R Retreat Center, click here. Mallory Whitfield works with businesses and individuals who want to embrace their weird. She empowers them to rediscover their authentic voice, be more compassionate to themselves and more inclusive of others. Mallory began her journey as a creative entrepreneur in 2004, selling her handmade creations at local craft shows. She later wrote a book about everything she learned, called How to Make Money at Craft Shows. Mallory is the producer and host of the Badass Creatives podcast, and she has spoken extensively on marketing topics at events that include New Orleans Entrepreneur Week, VenturePOP, Craftcation, and more. In 2016, she was honored to be included in the 19th class of Gambit’s 40 Under 40, which salutes the brightest innovators, artists, and professionals in New Orleans. Melynda is a trained professional organizer and is a member of both the Preferred Organizers Association (POA) as well as the National Association of Productivity and Organizing Professionals (NAPO). She received her Bachelor of Science degree in Interior Design from Northern Arizona University and was a licensed Interior Designer for 7 years. She loves working with people in a non-judgmental and relaxed environment and is passionate about helping busy, overwhelmed women and families create a space where they truly feel at ease. Learn more about Melynda by going to her website here. Chi Chi is a choreographer, creative director, and entrepreneur. She is a proud graduate of Texas A&M University and holds a B.S. in Industrial Engineering and a Masters of Business Administration. 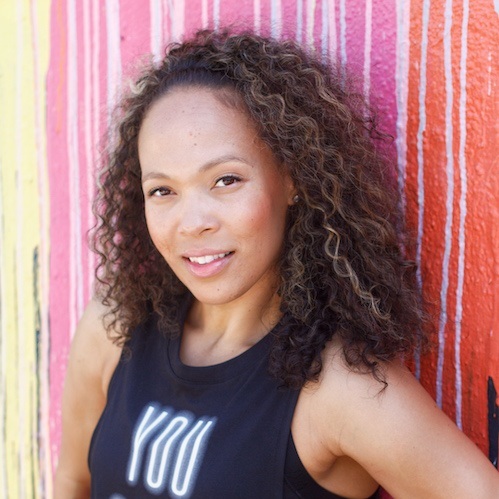 Chi Chi spent a short time in the corporate world as an Operations Manager for Frito Lay and then eventually stepped out on faith and pursued her life long dream of becoming a professional dancer. Today Chi Chi is the founder of Dance Austin Studio, a staple in the Austin dance community for almost a decade. Chi Chi avidly loves to inspire others and has expanded her entrepreneurial repertoire to include small business and mindset coaching. Her personal motto is to “Dream. Create. Inspire.” To learn more about Chi Chi, check out her website here. Elizabeth is experienced in building communities in both the corporate and non-profit sectors. She is successful in raising funds by networking with prospective clients and donors. In addition, to increasing revenue and donations for clients Elizabeth uses her skills to collaborate with other groups and businesses to cross-promote one another. Terri owns Refine Personal Training and Fitness in Temple, TX. She has been a physical fitness trainer for 40 years. Terri believes in living a well-balanced life full of fun and fitness. Sharing her philosophy of living your best life is a mission for her. Learn more about Terri by going here. so you’re in charge…now what? Check out a detailed schedule of events for our retreat on our Schedule page. This event is a boot camp and creative retreat for entrepreneurs. That includes all money makers: entrepreneurs, creatives, small business owners, side hustlers, anyone who generates income with their own two hands - this is for you! Join us at the Rockin’ R Retreat Center in Temple, TX for four days of focused inspiration. In this business boot camp, you’ll learn from experts and peers in the areas of marketing, mindset, organization, and customer service. Curly Executive is excited to be partnering with Rockin’ R Retreat Center for our So You’re in Charge… Now What? retreat in May! Check out the above video for a tour of the property to get an idea of what awaits you during your stay. You can also find more details on the retreat center on the Rockin Reality Retreats website here. Be sure to register soon this event will sell out!